From just beyond the pavillion at the Long Center in the heart of Texas, this is the downtown Austin skyline. 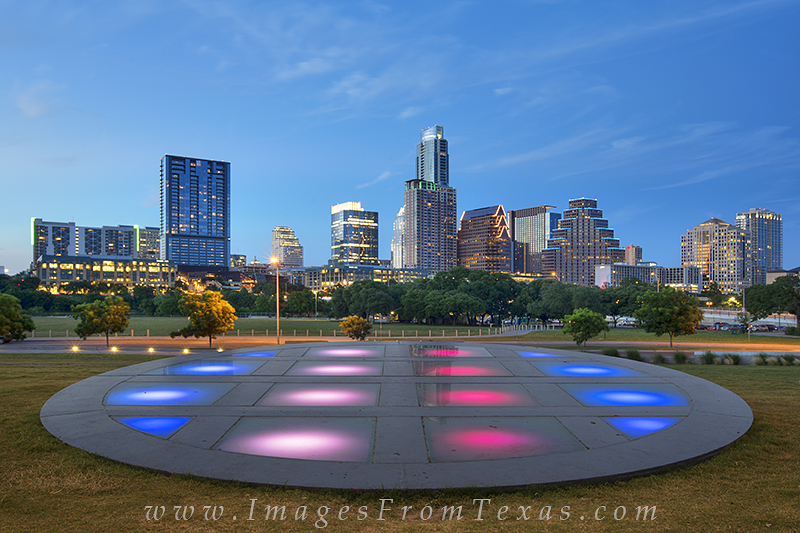 The glowing disc in the foreground resonates with color after sunset, and the lights of highrises just beyond Zilker Park and Ladybird Lake begin to flicker on this warm June evening. Photo © copyright by Rob Greebon.